Thursday May 25, San Francisco–While PG&E has finally agreed to close Diablo Canyon, it still wanted to overcharge consumers for the plant. 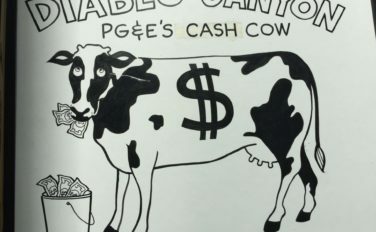 TURN objected to PG&E’s demands for customers to pay an increase of over a billion dollars for the necessary nuclear decommissioning of Diablo and today won a CPUC decision denying PG&E’s inflated demands. PG&E sought to increase its previous estimate of $2.286 billion (adopted in 2012) to $3.779 billion, a 65% increase. TURN, representing customers’ interests, argued that such an unprecedented increase, the largest ever proposed by a California utility, was unsupportable. TURN challenged a wide array of the assumptions relied on by PG&E, which resulted in today’s vote to slash PG&E’s demands by close to $1.4 billion. PG&E did not justify a $344 million increase in expected security costs. PG&E did not prove that $505 million in assumed costs relating to removing the reactor vessel, steam generators, and other large components was actually needed. PG&E’s assumption that any uncontaminated materials must be transported to out-of-state hazardous waste landfills was not supported. This assumption drove $312 million of the increase PG&E demanded. All in all, the decision approved by the CPUC today rejects $1.358 billion (or 91%) of the proposed increase and avoids over $100 million in annual rate increases that would have been passed through to customers had TURN not stopped PG&E’s request from being approved.